Originated in 1998, 911 Signal has been dedicated to serving customers globally with excellent-quality emergency vehicle warning solutions and control systems. 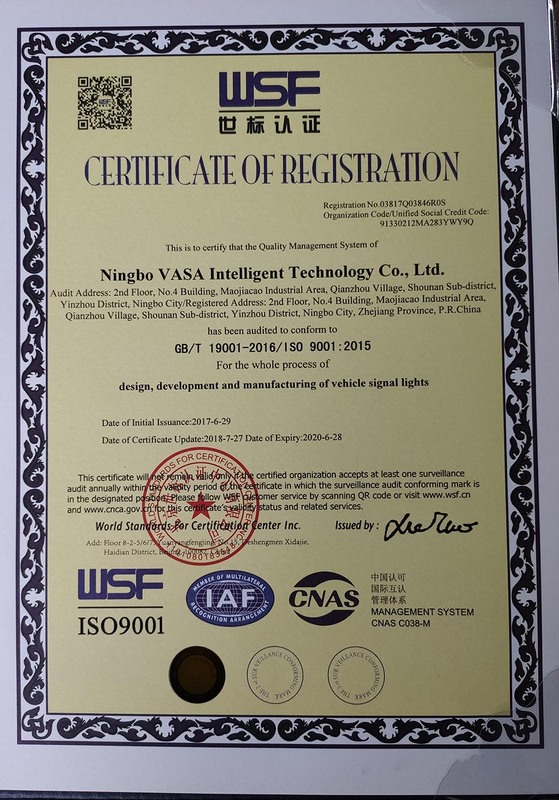 911 Signal is a successively growing company located in Ningbo China and is well on the way of becoming the most professional and innovative supplier in the industry. With a grand opening of the office and investment on the warehouse in Paris France, we now have a even more extensive network of distributors and partners in Europe, America, Africa, Asia and Australasia. The mission of 911 Signal writes ‘Grow into a time-honored company. Offer our customers with the indispensable safety warning products within the sectors of automotive, aviation, maritime, and outdoor’. This can’t be done without a team of highly motivated and devoted employees who share the same goal of becoming the top choice of our customers. Each year the 911 team travels to exhibit in major trade shows including but not confined to IACP, APPEX, MILIPOL, RETT, Automechanika. We follow market trends closely and visit clients to get first hand feedback. Combining comprehensive marketing research, customer requirements and feedback, we form the idea of a new product or update on existing products. We excel at designing and manufacturing warning systems in an innovative way that is responsive to the market demand. In the R&D team, engineers specializing in structure, electronics, process, optics and industrial design collaborate closely and efficiently to develop products tailored to the customers’ needs. Each project follows a complete and rigorous process made of four bright steps. Concept - Step 1 In the concept phase, we collect and incorporate all the necessary information regarding form, function, material, testing standards etc for developing a new product or upgrading an existing one. Development - Step 2 After the design, including outlook and structure, is verified, prototypes and samples will be produced for internal testing. The approval of mass production will only be given to manufacturing when the testing proves to meet or exceed the corresponding regulations. Production - Step 3 After an internal product release, the production begins. Every product is made with hand and heart. From a tiny hideaway to a low-profile lighthead or a full-length lightbar, we assure you the quality with an ongoing inspection by quality control team. Support - Step 4 Products are distributed with the trusted logistics partners to ensure a safe and punctual delivery. Our staff are always standing by for any support needed. The amazing factory hosts a digitalized warehouse, workshop for injection molding, surface mount, assembly, and also a well-equipped testing lab. We insist on upgrading to the latest high-tech CNC and injection molding. It is witnessed that we are having an ever-increasing percentage of automation in use. The invest in industry robot has proved the efficiency and consistency in high quality. Utilizing the most advanced technology, we are always ahead of other competitors. 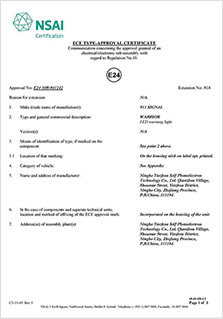 Arduous and strict quality control measures are implemented from the minute raw materials arrive the factory to the moment packaged products leave the plant. With the newest Coordinate Measuring Machine, we are able to check even the most irregularly shaped components to see if they meet our requirements. To maintain the conformity of production, samples are regularly subjected to harsh environmental testing and other destructive or non-destructive testing to consistently guarantee high-quality products. With the facilities in our lab, we are able to simulate 12 out of the total 13 climates on the planet earth (Polar climate excluded). An introduction of the IPX9K chamber allows us to test the product in the worst splashing condition possible. The newly imported instant high-low temperature chamber simulates the most severe weather for the product application. 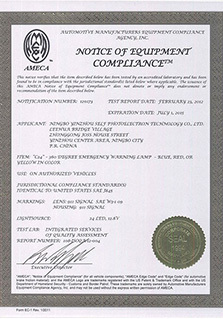 Our testing processes allow us to fully comply with and exceed CE, SAE, California Title 13 and ECE regulations. The product coming out from 911 Signal is afraid of nothing. Each county and region is assigned with an experienced sales representative. The sales & service team offers frank, responsible and efficient communication with clients. Every piece of information regarding lead time, order status, or delivery time is announced with faith, accuracy and completeness. We look forward to your inquiry as yet another opportunity to convert a potential customer into a long-term partner. With the motto ‘To forge ahead with determination and aspiration’ in mind, we are always on the way to be better. We will be our customer’s first choice, today and tomorrow. We will be our customer’s first choice not only because of our products but above all, because of our people. Our people believe in strong connections, look for mutual advantage, strive for progress in society and totally adhere to the values that we share as an organization. Our people are our main asset. Grow into a time-honored company. Offer our customers with the indispensable safety warning products within the sectors of automotive, aviation, maritime, and outdoor. We excel at designing and manufacturing warning systems in an innovative way that is responsive to the market demand. Be the top and only chosen attempt at success. To be customer centered and focused on their needs. To be innovative and reliable at all times. To be determined, committed and resilient to our goals. To constantly grow our competency. To maintain a responsible ‘can-do’ attitude. Our design partners in Europe (especially the Netherlands), North America and elsewhere not only work with us hand-in-hand but also undertake independent market research on our behalf, including direct surveys - making us highly responsive to what the end user wants and needs. 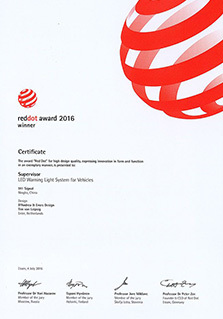 Together we have produced more than 100 unique designs and garnered no less than 237 patents and multiple awards, Red Dot, iF included, for products that are portable, durable, unique, and environmentally friendly. 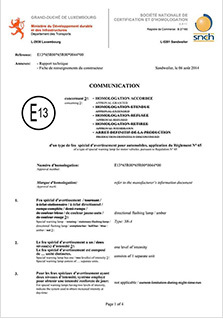 911Signal’s numerous certificates (including TS16949), full compliance with the CE, SAE, E-MARK, and testing according to the ECE R65 R10 R48 (Europe) and SAEJ595 J845 (USA) standards provide powerful testament to our strong quality assurance and reliability commitments. Production is tested and inspected prior to placement in inventory, including random environmental simulation by EQ engineers. By this measure, we truly stand out among our peers, amidst industry-wide quality and consistency concerns. Sales Department assures adherence to strict client collaboration policies that are clear, responsible, efficient, straight-forward, and highly effective. When we tell you the lead time, order status, or delivery time for example, you can be rest assured that the answer you receive is accurate, complete, and realistic. Standard lead time for stocked items is seven calendar days from order to shipment. What’s more, for further convenience and better service we have established agents in the US, Britain, Sweden, France, Norway, Denmark, Australia and elsewhere. We look forward to your inquiry as yet another opportunity to convert a potential customer into a long-term, well-pleased client, and await your call. Welcome! Include such well-known names as Phillips, Texas Instruments, CREE, LED Engin, Fairchild Semiconductor, Everlight, Microchip, MAXIM, AVNET, Linear Technology and National Semiconductor, among many others. They collaborate with us for a number of reasons, including four in particular that set us apart from the competition.